MACC (Washington, DC, June 4, 2013) — When people think of Morocco and its culture, the first things that come to mind are the food, the colorful mosaic tiles, and the splendid desert landscapes we so often see in American films. Less well known, perhaps because they are less sensory, less tangible, are Morocco’s diverse heritage and its values of tolerance and openness. One of the greatest examples of this is Morocco’s unique story of coexistence between Muslims and Jews. Jews have lived in Morocco—today a predominantly Arab, Muslim country—for more than three thousand years, and they continue to prosper there today. When in World War II France’s Vichy regime asked Morocco to identify its Jews for eventual deportation, the late King Mohamed V refused, reportedly stating, “We have no Jews in Morocco, only Moroccans.” Morocco’s 2011 Constitution formally recognizes that the country’s national identity is ”nourished and enriched” by Jewish influences; and as recently as last month, burial sites of Moroccan Jews who settled in Cape Verde were restored and rededicated with key financial support from King Mohammed VI. 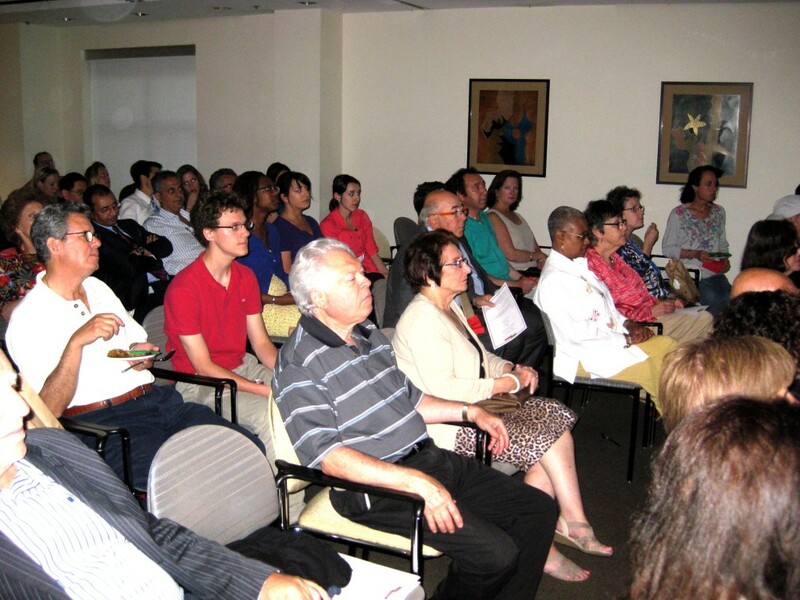 More than 100 people attended screening in Washington, DC on May 29, 2013. Born in the small Berber village of Tinghir, history-teacher-turned-filmmaker Kamal Hachkar moved to France at a young age, where he grew up with the notion that all Berbers were Muslims, and that—if the evening news had anything to say about it—Muslims and Jews could never coexist. But each year he would vacation in Tinghir with his family, and there he learned from his grandparents that some Berbers were Jewish and that in many villages—like his hometown—Muslims and Jews lived together, side by side, for ages. Having struggled himself with understanding his many identities—Muslim, Moroccan, Berber, French— Hachkar wanted to know more about these Jews who had lived in an Arab country. 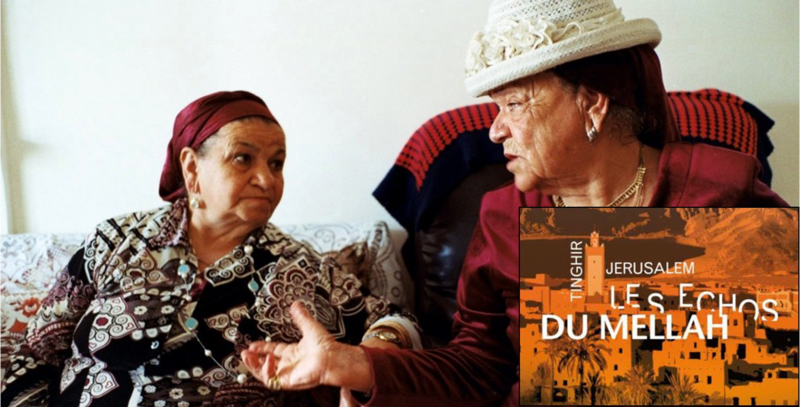 He set out on a journey that took him from the Atlas Mountains—where he started by interviewing his family, his friends and his neighbors on their memories of the Jews of Tinghir—to Jerusalem, where he met families that to this day hold on to their Moroccan heritage. “They’re not mutually exclusive,” he explained via video conference following the screening. “Palestinians would say how Aisha [an elderly Jewish woman from Tinghir featured in the film] reminded them of their grandmothers,” he reported. 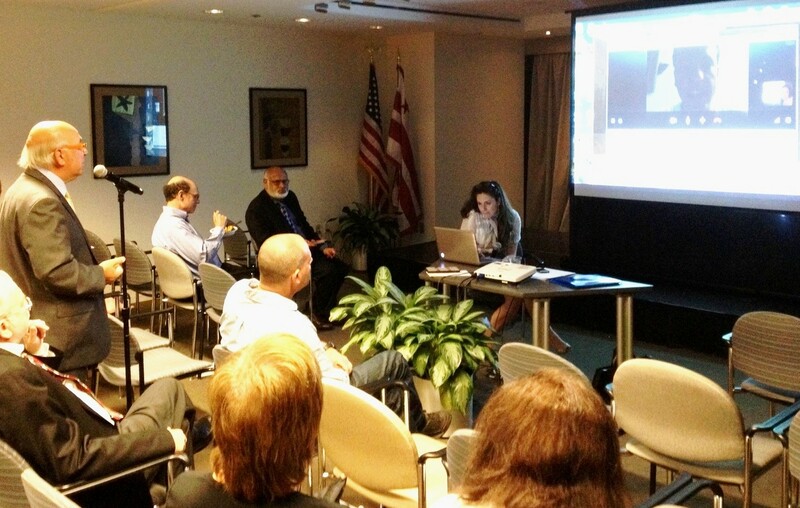 Sir Charles Dahan, Vice President of the World Federation of Moroccan Jewry, asks filmmaker Kamal Hachkar a question via Skype following the screening. 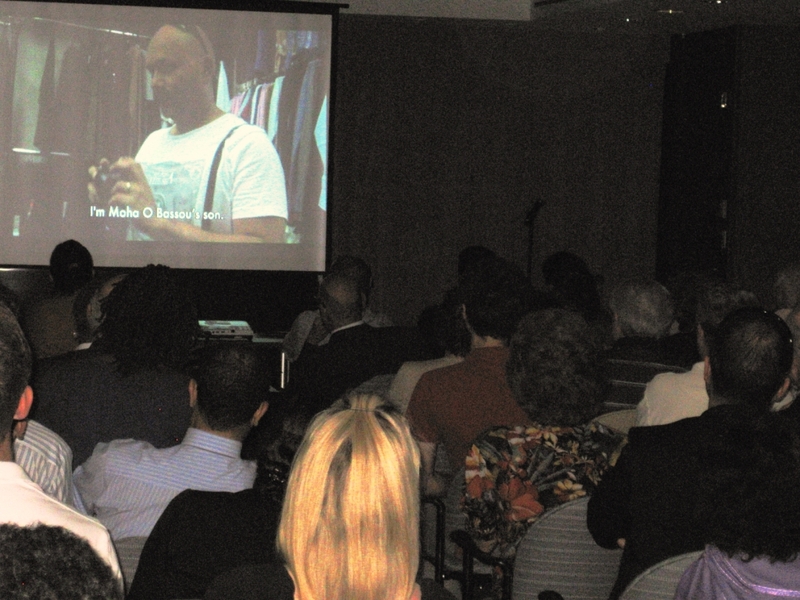 Muslim and Jewish Moroccans at the screening echoed the sentiments of mutual respect and understanding. When one gentleman—originally from Tinghir—declared that there were no problems between Muslims and Jews in Morocco, that everyone was accepted as Moroccan there, the audience erupted into applause. It was a moment reminiscent of the film itself. “They [the interviewees in the film] are great poets. Speaking in metaphors about loss and leaving one’s country. They speak with their hearts,” said Hachkar. The film has won numerous accolades, including “Best Film” at the Rabat International Film Festival for Human Rights, 2012; “Best Documentary” at the World Jewish Film Festival, 2012; and “Best First Film” at the Tangier National Film Festival, 2013. For more information on Morocco’s Jewish heritage click here.